The Information Technology Division is going through an exciting period towards improving its service delivery by restructuring its operations. The Division is undertaking necessary efforts to create conducive climate for IT management with special emphasis on organisational approach to Strategic Information System Planning (SISP). The division plans to move a step further in improving the University IT strategic planning (ITSP), which focused on building the technology platform and infrastructure, to creating value-added activities riding on these infrastructures particularly those that support the core business of the university in teaching, learning, and research. Continuous and shared decision making activities between the business (Kulliyyahs, Centres, Divisions, and Institutes) and IT Division. Emphasis on Organisational Learning about business problems, opportunities, and IT contribution. Encourage participation of permanent and ad-hoc teams of key administrative and academic managers as well as Information System managers. Team Building themes that enable collaboration between functional team and technical team. Further agenda are also being considered including the introduction of Green Computing initiatives, strengthening IT Governance, service oriented architecture, IT Risk Management, to name a few. The current IT Strategic Planning (2007-2011) is undergoing review to address emerging needs, new roles and to create better opportunities in implementing best practices in the management of ICT resources. In addition to that, it will also focus on reducing cost in delivering the IT services. I would like to take this opportunity to acknowledge the contribution and commitment and to express my sincere gratitude to all the team in the Division for the hard work. I now look forward to fulfilling the ITD commitments as presented in our Service Level Agreement and also to continue our partnership with the users in ensuring that technology enables the delivery of vital services to the IIUM community. 1. To collaborate and provide quality ICT services and support efficiently and effectively. To educate by training and inculcating awareness on the utilization of ICT in IIUM community activities leading towards the development of an Islamic ICT culture. To provide an excellent, accessible, reliable and secure ICT infrastructure, facilities and services. To develop, implement and improve the integration of ICT systems and tools that will further enhance productivity and efficiency in IIUM. To provide consultation and advice in the formulation of a robust IIUM ICT policy and guidelines for implementation. To synergise the knowledge-worker and technological advancement in the e-university environment. Oversee and advise ICT Governance of the University. Oversee the formulation and execution of University ICT Strategic Planning. Oversee and advise University ICT investment and budget planning. Oversee and advise Key Performance Index of all ICT service providers in the University. Oversee and advise University ICT Projects' priority and implementation. Inculcate the implementation of ICT best practices. Consider and select suitable enabling technologies for the University. Ensures Teaching and Learning requirements of the University is adequately supported by the ICT services and technology available in the University. Vice-Chairman of the ICT Council. Information Technology Division (ITD) was established with Assoc. 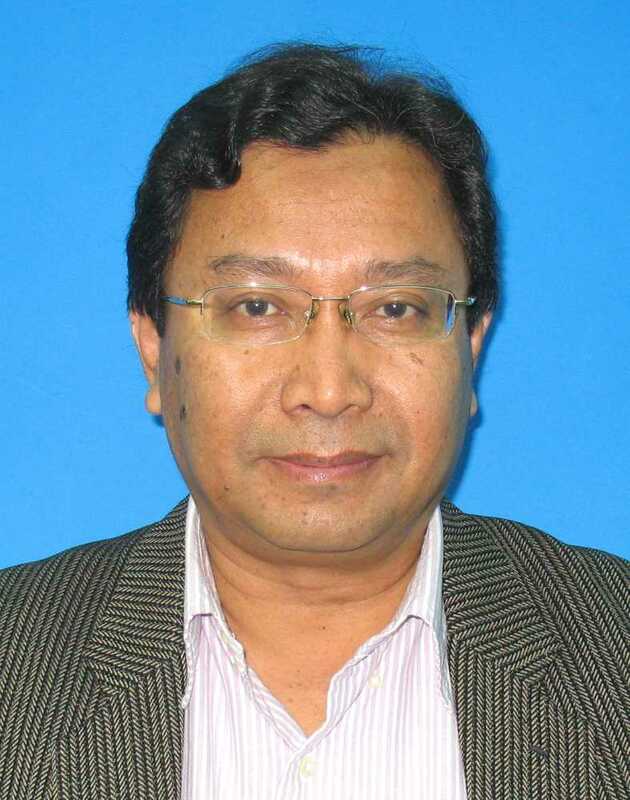 Prof. Dr. Adznan Jantan as the first Director of ITD. The IIUM ICT Master Plan, incorporating the IIUM High Speed ATM Network (IHSAN) was submitted to MAMPU. 512 Kpbs to 2 Mbps. in placed in order to support the existing ATM Mesh node. A complete redundancy PABX system was deployed. ITD organized its first IT Open Day and phase 1 of the e-voting system for SRC elections was implemented. The Internet bandwidth was upgraded from 4 Mbps to 8 Mbps for Gombak campus. Phase 1 of the Gigabit Ethernet migration was implemented. Migrated from Oracle 8 to Oracle 9i. The Helpdesk System and the Integrated Computing System (ICS) for the whole campus was established and implemented. ITD earned the distinction of being “Oracle’s Innovative Customer”. The E-Meeting system for Senate Meeting was launched. Prof. Dr. Ismawi Hj. Mohd Zen became the first CIO. The Internet bandwidth was upgraded from 8 Mbps to 34 Mbps for Gombak campus, 4 Mbps for the Indera Mahkota campus and 2 Mbps for the PJ campus. The integrated WAN services (VPN) was established. ITD awarded the MS ISO 9001:2000 Certification within the scope of “Management of ICT Resources and Application System". The MyIIUM Community Portal was launched. ITD migrated from Oracle 9i to Oracle 10g. The Gigabit Ethernet backbone was fully implemented. IP telephony services using VOIP was implemented. Implemented Phase 1 of the IIUM Wireless services. The Internet bandwidth was upgraded to 140 Mbps for Gombak campus. Implemented Phase 2 of the IIUM Wireless services which was extended to the Mahallahs in Gombak campus. The Internet bandwidth was upgraded to 295 Mbps. IIUM Wireless Project Phase 3 was launched by the Deputy Prime Minister of Malaysia on 17 September 2013. The Wireless Network insfrastructure project phase 3 installed a full capacity and coverage on 802.11n technology at Mahallahs in Gombak campus. The Internet bandwidth was upgraded to 375 Mbps. The IIUM E-mail system was migrated from Microsoft Exchange to Google Gmail with increased inbox quota from 500MB to 25GB. The Internet bandwidth was upgraded to 2.1 Gbps.